In this article Next Siooon will discuss about Disease Tuberculosis, Information includes Understanding - Symptoms - And How to Prevent Disease Tuberculosis. Disease Tuberculosis - disease that attacks the lungs which is dangerous because it can disrupt daily activities. Tuberculosis or known as TB which can attack the lungs. Mycobacterium Tuberculosis bacteria will attack the lungs so that the patient will feel tightness and pain in the chest. Included in Multisystemic disease with various clinical forms. The inability of antibiotic drugs to tuberculosis is due to virus coinfection. - Hemoptysis / coughing up blood. 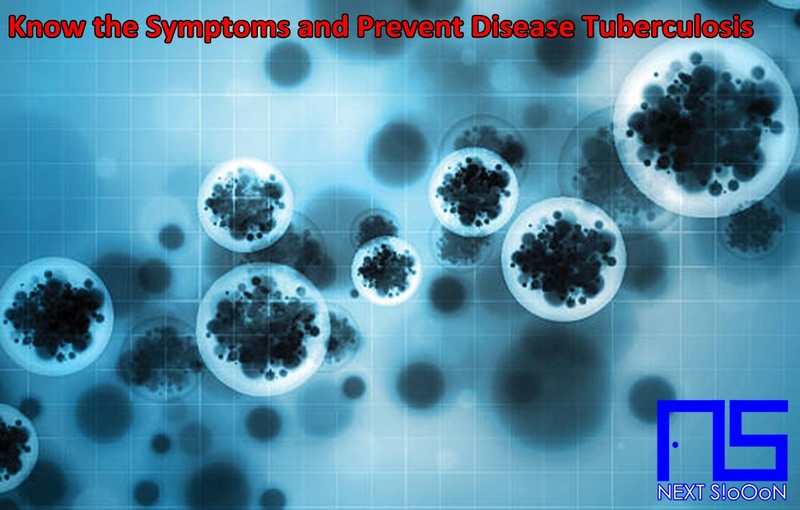 If you feel symptoms like that then you can immediately go to the Clinic or Hospital to do some Tuberculosis tests. Tuberculin Mantoux test with purified protein derivative (PPD) for active or latent infections (main method). Check patient's phlegm in patients with cough symptoms. HIV serology in all patients with TB and HIV status is unknown: HIV-infected individuals are at increased risk for TB. Chest radiograph to see lung features in Tuberculosis patients. If the results of the bacterial culture were positive there were Tuberculosis bacteria, then it should be followed by what antibiotic test is suitable for Tuberculosis suffered by these patients. However, this test is usually done if first-line TB treatment does not work so patients are categorized into patients who fail first-line treatment for pulmonary tuberculosis. This method is most accurate for determining whether the patient has Tuberculosis or not. Most children with Tuberculosis can be treated with isoniazid and rifampicin for 6 months, along with pyrazinamide for the first 2 months, depending on the results of germ culture. For tuberculosis after birth, the duration of treatment can be increased to 9 or 12 months. Ethambutol is often avoided in children because of its effect on disturbing the senses of vision. The main problem in the treatment of tuberculosis is the length of treatment so that the level of patient compliance tends to decrease. This triggers bacterial resistance so that the initial antibiotics do not work. Patients who experience resistance are called cases of tuberculosis. In this case, treatment will be much more difficult, with a longer duration, a higher mortality rate, and the drug is not just taken, but there are also injecting drugs. Tuberculosis can now be cured by taking medication regularly and taking a lot of rest, avoiding activities on the highway or places filled with smoke or air pollution. Tuberculosis Disease, Tuberculosis Disease Information, Tuberculosis Disease Article, Tuberculosis Disease Information, Tuberculosis Symptoms, Causes of Tuberculosis Disease, Factors Causing Tuberculosis Disease, Tuberculosis Disease Impacts, Tuberculosis Medication, Relief of Tuberculosis Symptoms, Overcoming Tuberculosis Symptoms, Tuberculosis Disease Symptoms, Tuberculosis Disease Management , Things to do with Tuberculosis, What is Tuberculosis, Definition of Tuberculosis, Information on Understanding Tuberculosis, Symptoms of Cause and How to Overcome Tuberculosis, Tuberculosis Detail Info, Tips to Relieve Tuberculosis, Tips to Overcome Tuberculosis Disease, Overview of Information About Tuberculosis, recognize the causes and symptoms of Tuberculosis, prevent Tuberculosis by knowing the symptoms and causes.